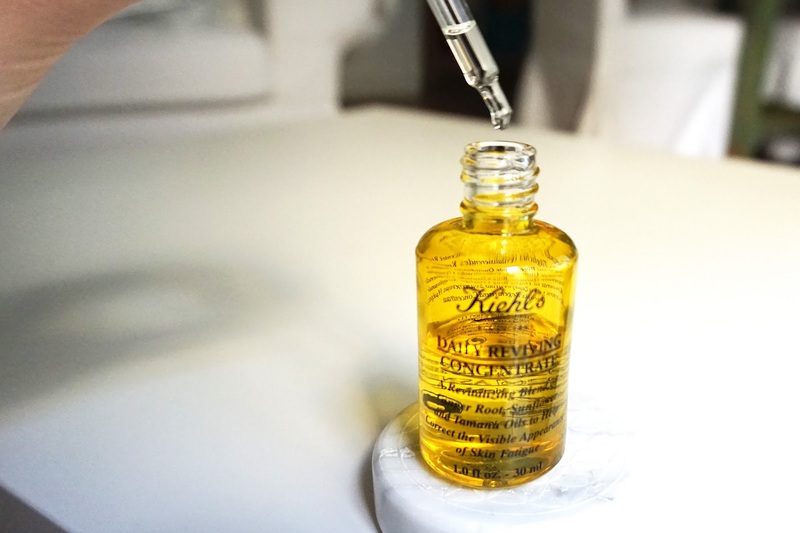 The Kiehl's Daily Reviving Concentrate isn't as hyped up and know as the Midnight Recovery Concentrate I reviewed Tuesday, however it's still a Kiehl's signature serum. My skin is normal to oily with a dry tendency in winter. Similar to the Kiehl's Midnight Recovery Concentrate, I started using this product in winter and have been using it daily since. I've decided to test out the serum for a long period of time in order to see if it really makes a difference. Keep scrolling for the whole review. 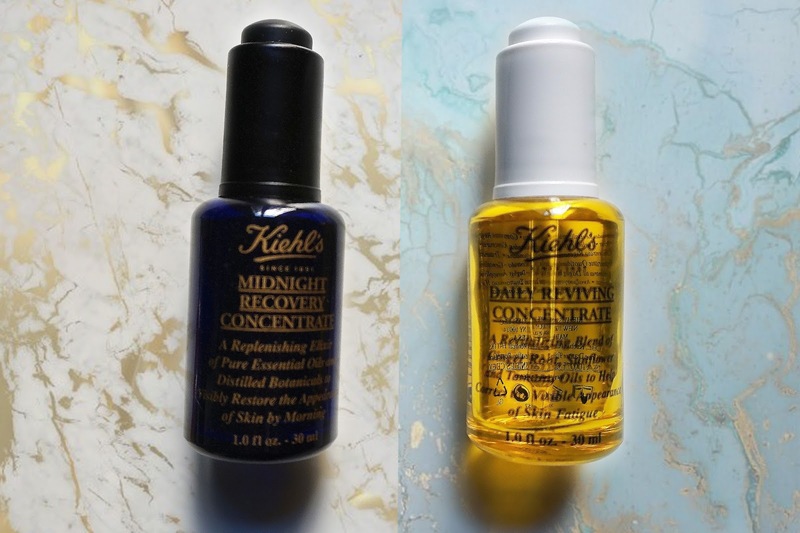 Comparable to the Midnight Recovery Serum, the Daily Reviving Concentrate is an facial oil. It has a lightweight formula that boosts radiance and strengthens skin defenses against daily aggressors, providing an antioxidant protection. The main ingredients are Tamanu Botanical Oil, Sunflower Botanical Oil and Ginger Root Essential Oil. The Tamanu Oil reduces the appearance of daily damage while soothing and replenishing the skin. Sunflower oil improves hydration and skin texture. The Ginger Root oil defends skin against free radicals and environmental aggressors. 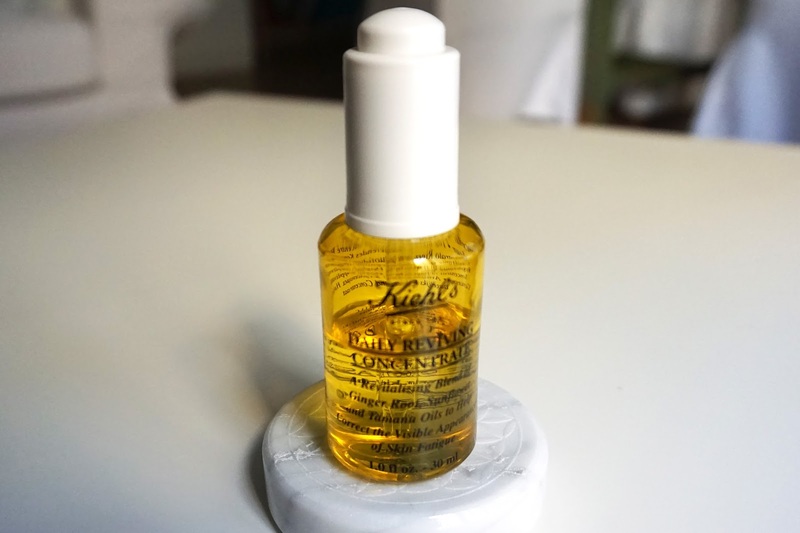 The oil sinks in faster than the Midnight Recovery Concentrate, though if you apply too much, it can break down any make-up you put on top, so be careful. After applying it, the skin looks radiant and feels smooth, it almost has a glow to it. At the beginning it seemed to help with my skin texture issues, but lately it's been stagnant. I don't know if my skin is acting up or the serum stoped working, but I'm still willing to finish it up and see. The oil nourishes my skin and doesn't make me break out or create under the skin acne. Like I've mentioned in my Midnight Recovery Concentrate review, in the past I have battled with under the skin acne. The packaging is almost identical to the Midnight Recovery Concentrate, as in a old school pharmaceutical bottle with a dropper. The bottle is yellow instead of blue and the oil inside is clear in color. The 30ml bottle is only half way used in 6 months, which again is impressive to me. It is a lovely product, however there is a huge BUT here. It's not as effective and nice as my Midnight Recovery Concentrate. Of course, the defending of free radicals isn't something you can easily notice and I don't know if it repaired the daily damage. What I can tell you is, that it is a luxurious oil that leaves your skin feeling nice, but I wouldn't necessarily say it's an absolute must have, like the Midnight one. It's 43 € and like I mentioned, it takes a long time to go through it. I will continue to use it up, since it is a satisfactory oil, however I don't know if I will repurchase it. Have you tried it? What did you think? I haven't tried any facial oils. I have acne prone skin so I was always worried that they would make me break out in spots.